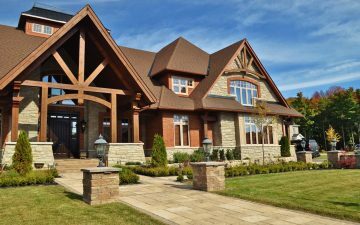 Not all homes are blessed to have a proper front yard – some would merely have a small setback from the road. 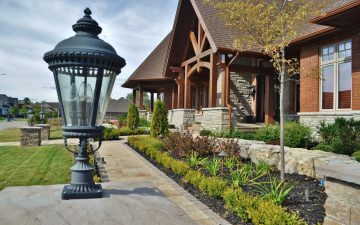 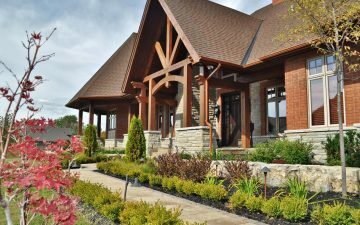 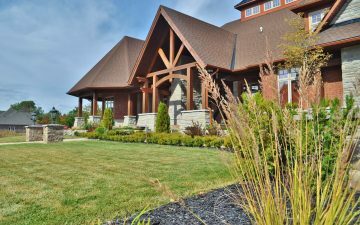 A good landscape design can make it appear stunning and welcoming. 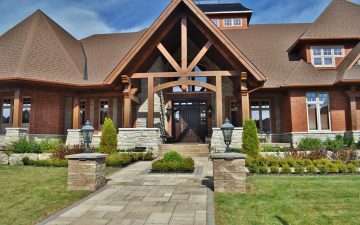 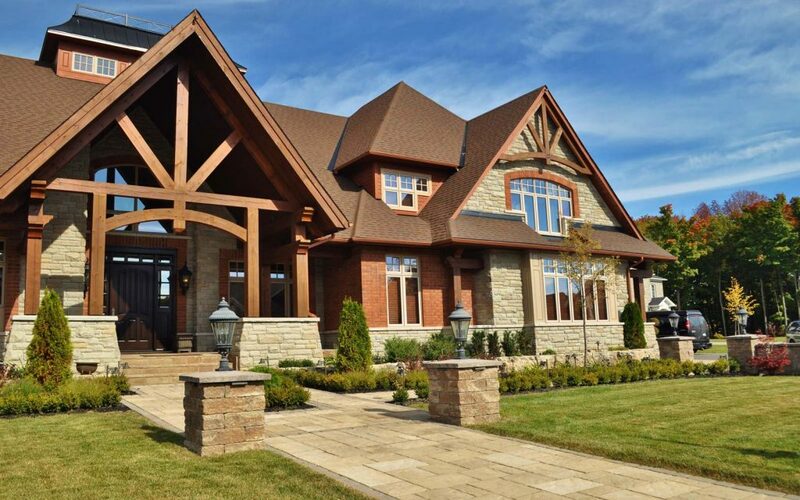 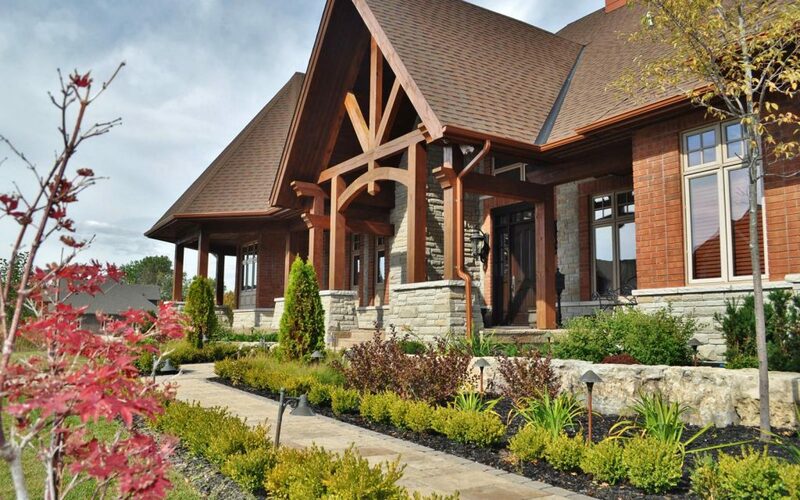 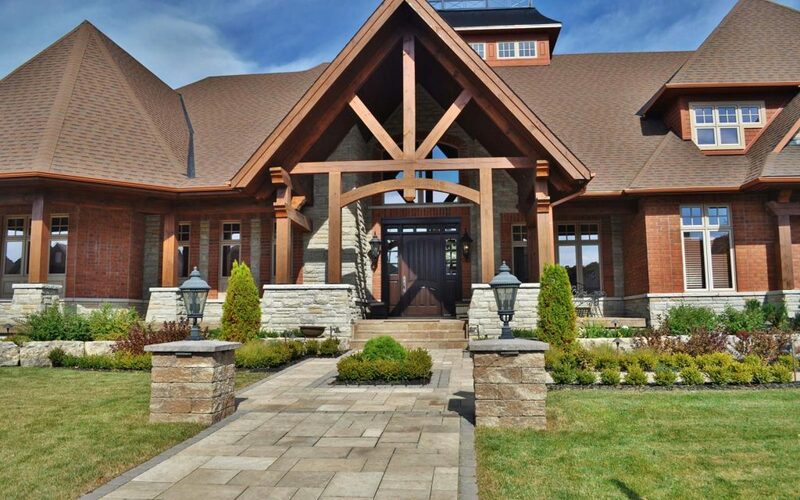 Gorgeous garden and front yard landscaping highlight the beauty and architectural features of this house. 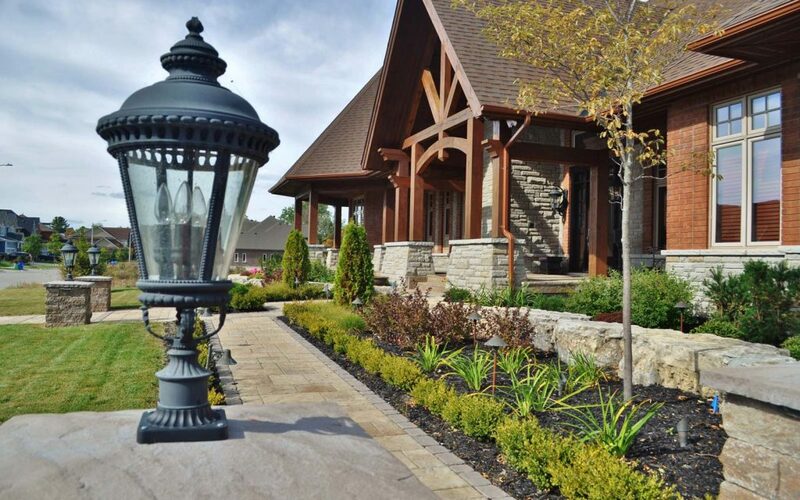 Designing wide walkways, accent pillars with lights and strategic planting together with stone and paving material colours and textures complimenting architecture created illusion of a large front yard for this beautiful house.